Now packaged in 2 oz. foil packets. Supplies that help you take care of the basic necessities. During an emergency or a disaster, people often forget about the basic human necessities. What we normally take for granted can be unpleasant at best when your world is in chaos. Fire Supply Depot offers the necessities to help you cope with the more human needs. Solar shower kits, portable & chemical toilets and more are available to keep you and your family safe and clean. 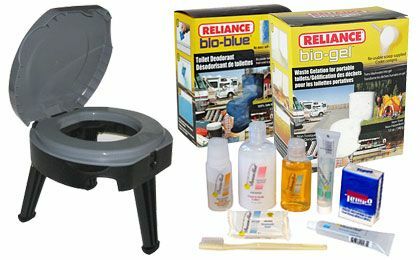 Reliance Bio-Gel Waste Gelation 12 oz.